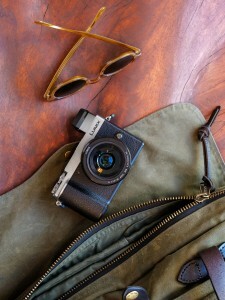 rodeasdown.com.au – Lumix GX9: It costs less, but does less. 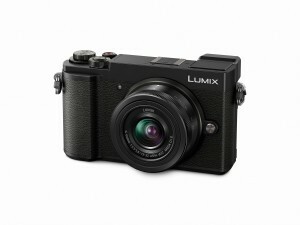 You can’t argue the value of Panasonic’s new $1399 Lumix DCGX9, it has a heap of features for the money. What you have to figure is if these features are the ones you want, and that you can do without the stuff it lacks. If you’re heavily into video, for example, there’s a chance you’ll wind up frustrated. Less so with stills, and far less so if you come into this camera fresh, and not as someone experienced with the GX8 it replaces. That cost more but did more. I suspect that Panasonic has stripped this down to offer a capable entry-level mirrorless micro four-thirds model for people who want something better than a point-and-shoot. Come into it fresh and it’s a terrific little thing for travel, especially with the 12 to 32 mm lens with which it’s supplied (you can’t buy body-only). In a walk around Singapore’s Chinatown, an inspiring place for photographers, I didn’t want for another lens at any time. The GX9 is not a pocket camera. Although compact it’s more than 500 grams with lens and battery so it’s better with a wrist strap. The ergonomics are good and it’s comfortable in the hand. There’s a built-in flash but its tiny and range is limited; for fill-in light it’s fine. The rear screen tilts for both low and high shooting but does not swing, and the viewfinder tilts through 90 degrees. The menus are extensive and easily navigated by both buttons and the excellent touch-screen, and there’s good flexibility in assigning preferred options. Focusing is centre-balanced with post-focus and focus stacking both available. Face and eye detection is also there and the focus can track subjects. Image stabilisation is good. I was impressed with the clarity and colour balance, and with JPEGs the GX9 works particularly well. What disappointed me was the battery, pretty small for a camera with these demands. I ripped through it in an afternoon. Panasonic claims 260 shots, and with some post-focus and focus stacking shots and lots of reviews I came close, but missed it by that much. First published on smh.com.au July 2018.